Vincent Emmanuel Angelin Meriton was born on 28th December 1960. He has three children. He completed his primary and secondary education in Seychelles and further his studies in Moscow where he graduated with a Master in Sociology from Moscow State University. Upon his return to Seychelles in 1978, he worked as an Audit Assistant with the Department of Audit. From 1979 to 1981, he worked as an Assistant Immigration Officer with the Immigration Division. Vincent Meriton then joined the National Worker’s Union in 1981 and held the post of Sector Secretary. In 1991, he worked as a Senior Training and Research Officer with the Ministry of Employment and Social Affairs. He was appointed Director General for Employment Division in 1995, Director General for Youth Division in 2000 and Director General for Local Government Division in 2001. He served as Member of the National Assembly from1998 to 2002. Alongside his career. Mr. Meriton has also been Secretary General to the Seychelles Federation Workers’ Unions, Chairman of the National Theme Committee, Chairman of the Seychelles National Renaissance Committee and he is a Member of the WADA Finance and Administration Committee since 2016 to 2017.Vincent Meriton was first appointed as Minister in January 2004 when he became Minister for Social Affairs and Employment. In 2005, he assumed the role of Minister for Health and Social Services, which he held until August 2006. In 2006, Mr. Meriton was appointed Minister for Community Development and Youth and in 2007, he became the Minister for Community Development, Youth, Sports and Culture. In 2010 to 2011, he was the Minister for Community Development, Youth and Sports. 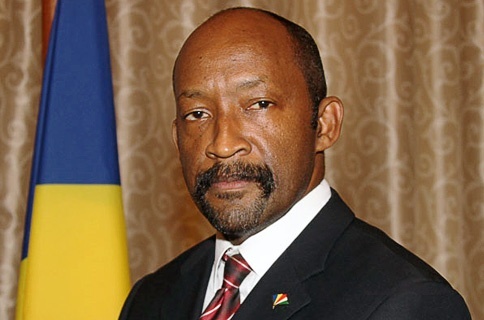 Vincent Meriton was appointed Designated Minister in July 2010 to 2016. From June 2011 to March 2012, he was the Minister for Community Development and Youth and from March 2012 to October 2016, he was the Minister for Social Affairs, Community Development and Sports. In October 2016, Mr. Meriton was appointed Vice-President holding the portfolios of Information, Blue Economy, Information Communication Technology (ICT), Foreign Affairs, Industries and Entrepreneurship Development, Religious Affairs and Civil Society, and Inner and Outer Islands. On 28th October 2016, Mr. Meriton was sworn in as Vice-President of the Republic of Seychelles.